There is something magical about a mailbox. One moment it is empty and the next it’s full of surprises! My kids love getting the mail so I thought it would be fun for them to have a special mailbox of their own. 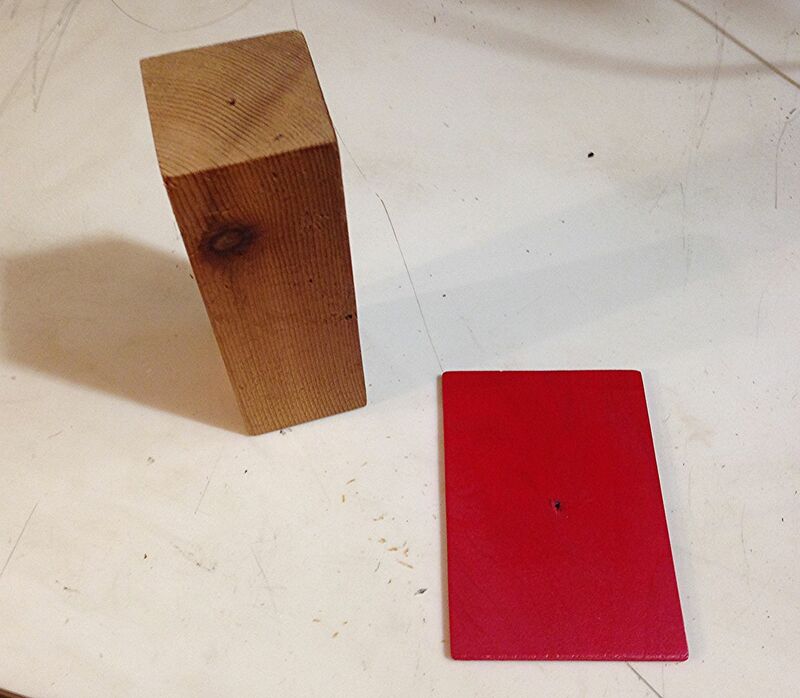 Micah found this 3″ x 3″ scrap for the post & I had a scrap of quarter inch plywood for the base. 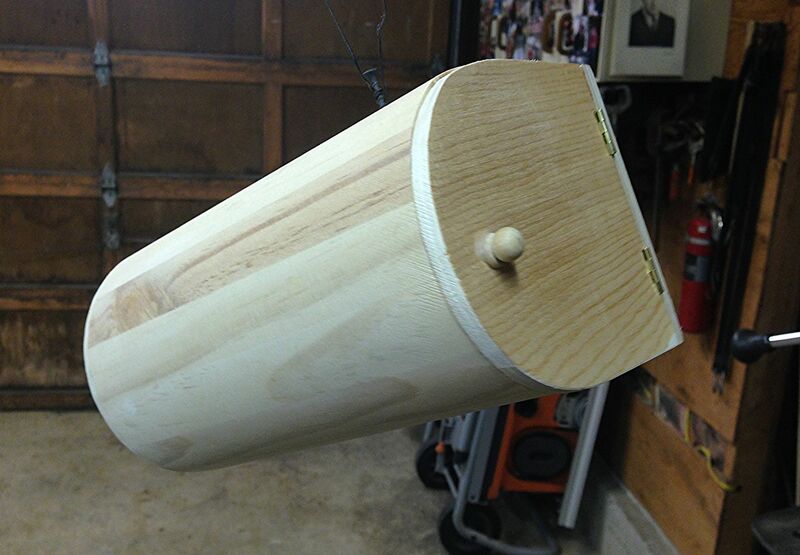 I wanted this pretend mailbox to have a “real” look so I simply sprayed a clear coat on the post. 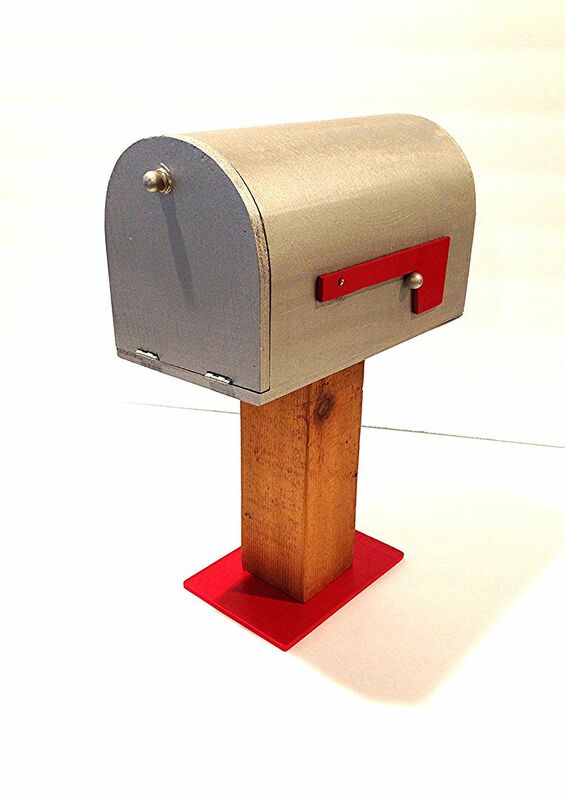 However, I had to paint the base red because it went with the little flag on the mailbox. 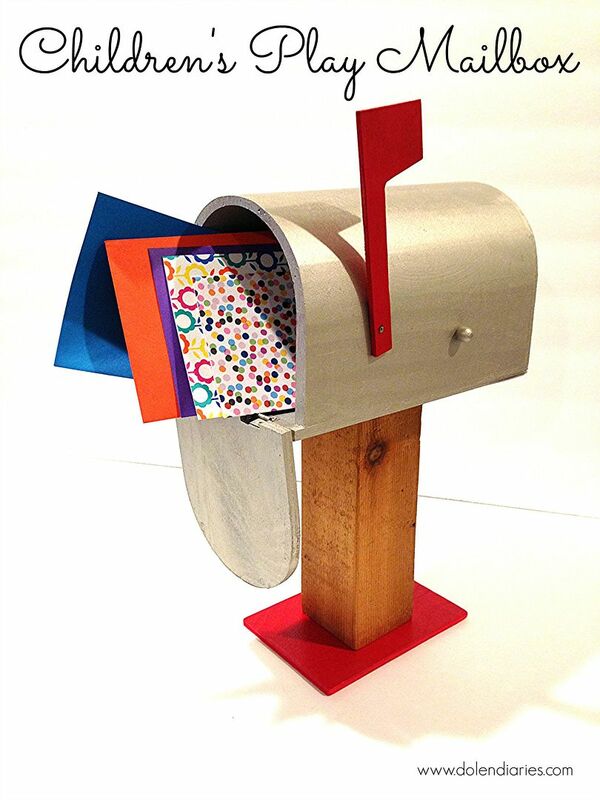 *The post is 9″ tall and the base is 4″x6″. 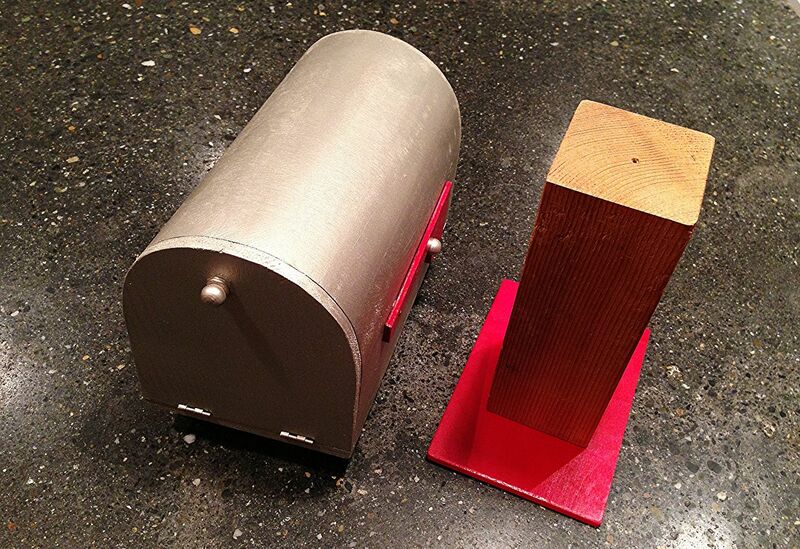 I spray painted the mailbox silver and the little flag red. The flag is attached to the mailbox with a little screw which worked out perfectly for spray painting. I was able to take the flag off which meant no taping required! Originally, I thought I’d simply hot glue the base to the post but I was worried that since the base wood was so thin it would pop off. So Micah secured the base to the post with a screw. To attach the mailbox to the post I used a healthy amount of hot glue. The kids have had so much fun “mailing” notes for us and each other! Check out where I link up here! Oh, what fun for the kids to play pretend with!!! Dee @ From Wine to Whine recently posted…cute as a button PRINTABLE! Thanks SO much!!! I’m really excited to be featured on your blog!!! How fun! So cute and what a lucky kid! Thanks so much for linking up on Made in a Day! Kim~madeinaay recently posted…Blog Hop Social Linky #104!!! This is so adorable! My daughter would love to have her own mailbox- as long she always received packages.